Lovely Spacious 1 Bedroom!Northwest Facing with Open City Views. THE APARTMENT: Enjoy bright, open views as you enter though the foyer into the large, double exposure living room with a generous sized terrace. 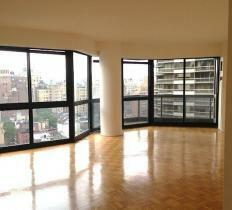 The spacious living room provides expansive view of NYC all the way to the westside. The dining area is great for entertaining. The nicely sized bedroom features large windows to enjoy lovely views with northwestern exposure and abundant natural light. The large marble bathroom is in excellent condition and features a Jacuzzi tub and a separate glass enclosed shower area. The kitchen is clean, bright and in excellent condition with lots of cabinet space. Additional highlights of the apartment include three large closets and a BALCONY off of the living room. This spacious apartment has approximately 833 square feet. THE BUILDING: The Savoy is a White Glove Condominium located in the heart of the Upper East Side of Manhattan, the prime location. This elegant building features a 24-hour doorman and concierge service and a live in Superintendent. The Building Amenities include a newly renovated fitness center (open 24 hours per day), glamorous party room, children s playroom, private massage room. on premises dry cleaner, valet service, package room, garage and a beautiful sundeck overlooking Manhattan. Enjoy the convenient location for all major transportation 1 block away and the world famous Bloomingdales is just a block away for all your shopping needs. FOR MOST ACCURATE INFORMATION AND SHOWINGS on this listing, please contact the listing agent -MANHATTAN BOUTIQUE REAL ESTATE – JOAN BROTHERS.